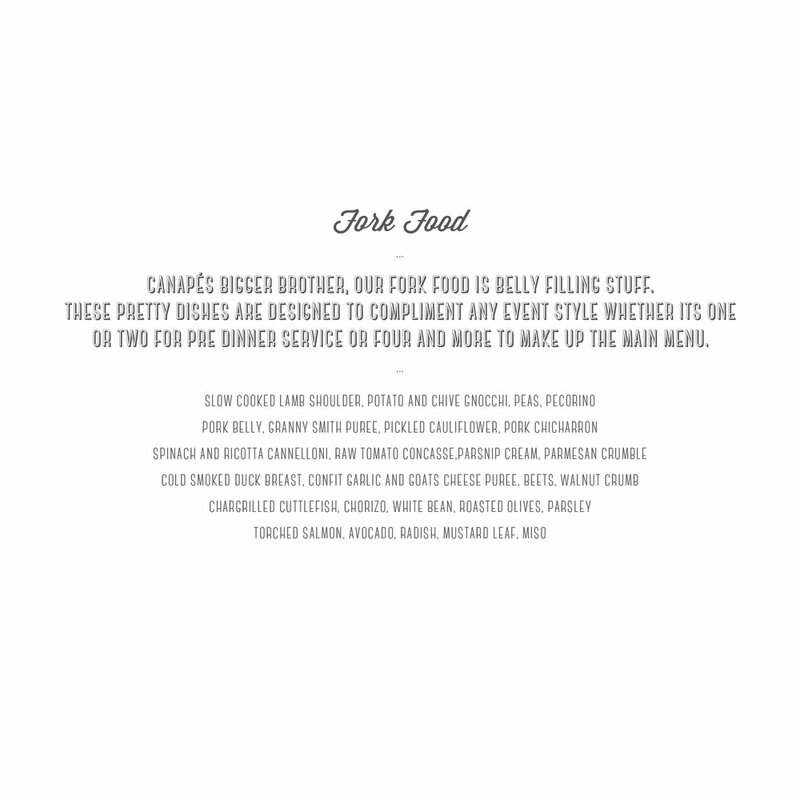 Much like our clients, our menus are unique and designed to be customised into a hand picked selection to perfectly suit your event style. Canapés, Street and Fork Food dishes are priced per person/ per selection, allowing you to have a little of all, a few of each and more of the other or all of the above. After our initial consultation with you, our team will help guide you though the dishes that will best suit your event style, venue location and produce seasonality.